The body of the 2018 RX L is stretched 4.3 inches at the rear and uses a steeper tailgate window. LOS ANGELES -- Lexus is stretching the segment-leading RX crossover by more than 4 inches to add an optional third row of seating long sought by dealers who have clamored for a family-friendly version of the brand's top seller and the best-selling luxury vehicle in the U.S. 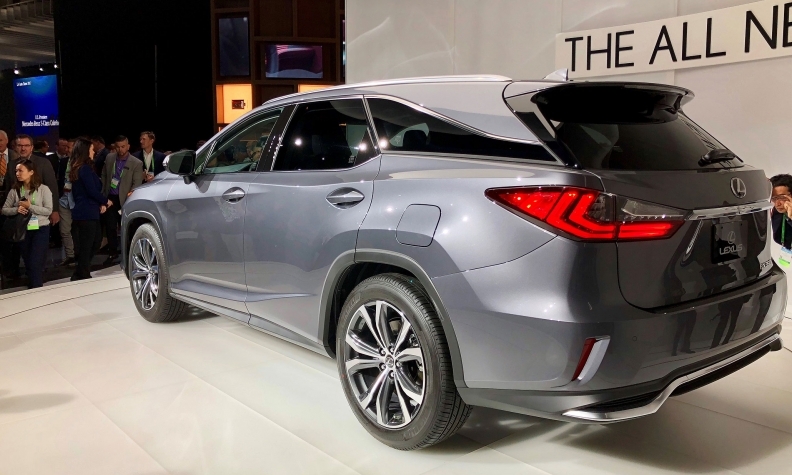 The body of the 2018 RX L is stretched 4.3 inches at the rear and uses a steeper tailgate window compared with the standard two-row RX to provide better headroom in the back without dramatically altering the styling. The RX L debuted Wednesday at the Los Angeles auto show. It will be built in Japan and go on sale in December, a key month for Lexus and other luxury brands. The longer RX features seating for seven passengers with standard bench-type seats, but a six-seat upgrade with second-row captain's chairs is available that improves access to the third row, Lexus says. 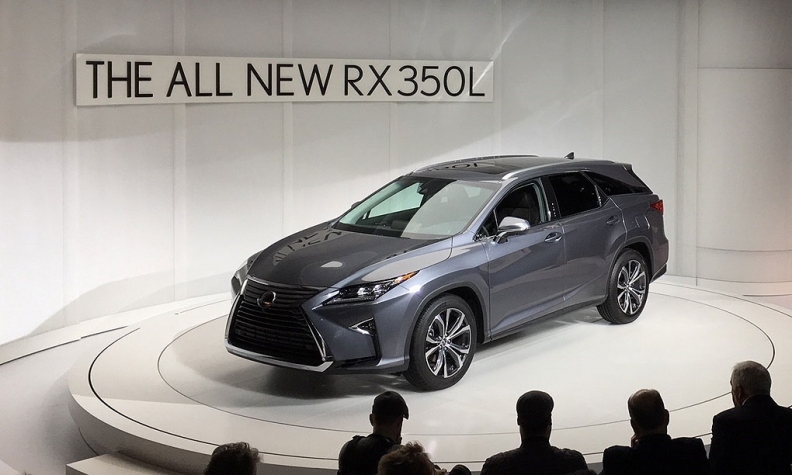 The RX L will be available with a gasoline six-cylinder engine -- the RX 350L -- as well as a gasoline electric hybrid known as the RX 450hL. Lexus is late to the game with a three-row family crossover compared with competitors such as the Acura MDX, Infiniti QX60 and higher-priced German rivals. Lexus dealers have long put a three-row RX at the top of their wish list. Lexus will now have "the opportunity to hold buyers who might have left RX and replaced it with the likes of an Acura MDX or Audi Q7 — but the long version will also appeal to some buyers already committed to the RX," IHS Markit said in a report ahead of the auto show. "With the new RX L models, Lexus drivers will now have the option of a third row without compromising the sleek styling and easy maneuverability" of the RX, Lexus said in a statement. The stretched Lexus seeks to offer third-row passengers the "same level of comfort and luxury as in the middle row" by positioning the second-row higher than the third to create more legroom in the way back. 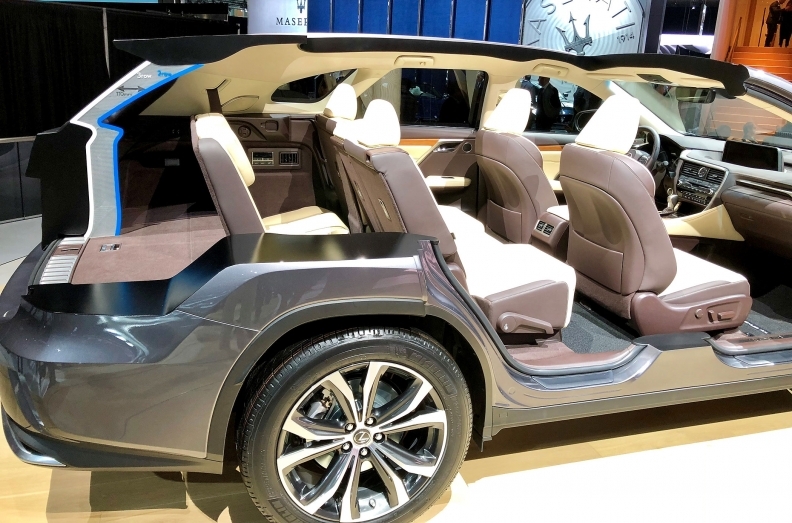 A cutaway on display at the Los Angeles auto show reveals the expanded, optional seating in the 2018 Lexus RX. The third row is equipped with vents and climate control in a three-zone configuration that comes standard, along with power-folding seats and a power tailgate. The entry RX 350L model with front-wheel drive will have a suggested retail price of $48,665, including shipping. The all-wheel-drive version adds another $1,400, the company said. 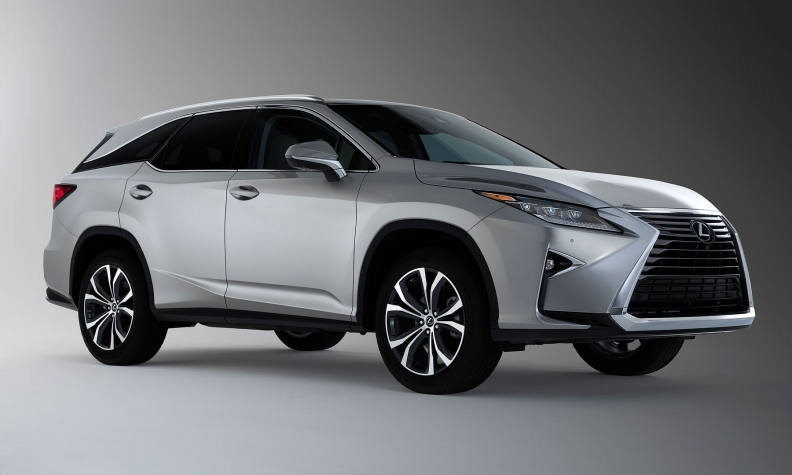 Lexus didn't provide suggested prices for the hybrid RX L models. In the standard RX body style and base trim, the hybrid model adds about $10,000 to the sticker price.